Doctor Who: The Doctor of War | Warped Factor - Words in the Key of Geek. Dr. Moo pays tribute to the Doctor’s greatest secret. 2013 was a great year to be a Doctor Who fan. The show turned fifty and so to mark the occasion we got a huge extravaganza beyond what we could have reasonably expected: a multi-Doctor special, the return of Gallifrey, three former Doctor actors returning, three regenerations… and a whole new incarnation of the Doctor, played by the legendary Sir John Hurt, whose very existence completely rewrote established canon. Steven Moffat had huge guts to do something like that! 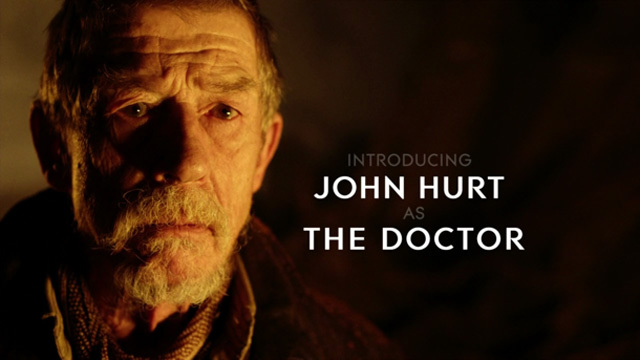 Casting an actor of Hurt’s callibre was essential to pull it off and now we can say that John Hurt played the Doctor. 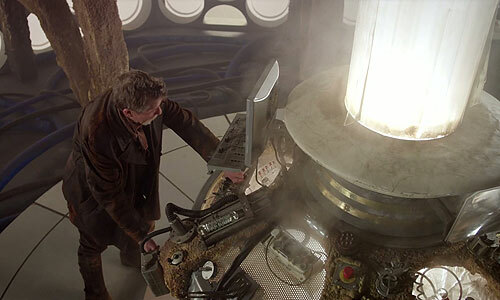 The War Doctor is first seen in the final moments of The Name of the Doctor, broadcast on May 18th 2013. We first see him as a mysterious figure in the Eleventh Doctor’s timeline. The Doctor has somehow managed to keep him so secret, even excluding him from the numbering of incarnations, that he doesn’t appear to any of the Clara splinters. The Doctor tries to walk away and not face his fears, and orders Clara to stay away from him. The figure then turns round and we see that this is a whole other Doctor we didn’t know about yet. Nobody who goes into that episode unspoiled will ever forget that sensation as we realise what’s just been revealed: we don’t know about all the Doctors after all! For a show that was just about to turn fifty this reveal was an impressive way to get people talking; it was a total shock that nobody could have predicted. Fast-forward to November and we are presented with his origins in The Night of the Doctor. In it we learn that this is the Doctor who fought in the Time War. Now, the Time War had always been a fascinating concept for me and coming up with this tragic backstory for the revived show was one of the better creative decisions of the often-inconsistent Russell T Davies. Yet there was one thing I never quite got my head round, which was the idea of McGann’s Eighth Doctor fighting a bloody war. It doesn’t seem right for his Doctor to be doing that. Nor did it seem right for Christopher Eccleston’s Ninth Doctor, he being too noble a hero to want to fight despite what facade he may present (a good discussion for another time maybe?). It would seem that Moffat had similar thoughts in mind when he went to the greatest living actor in the world today and cast him as the Doctor to do battle. 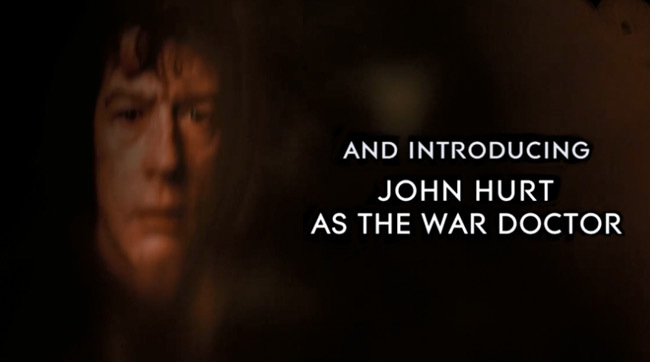 The idea of John Hurt flying his TARDIS into war seems so right in a way it wouldn’t with McGann or Eccleston. Hypocritical? This is the man who keeps his own sonic in a bandolier – how awesome is that! My one criticism of the War Doctor’s appearance in The Day of the Doctor is how little we see of him fighting in the war itself. That’s where Big Finish Productions come in! 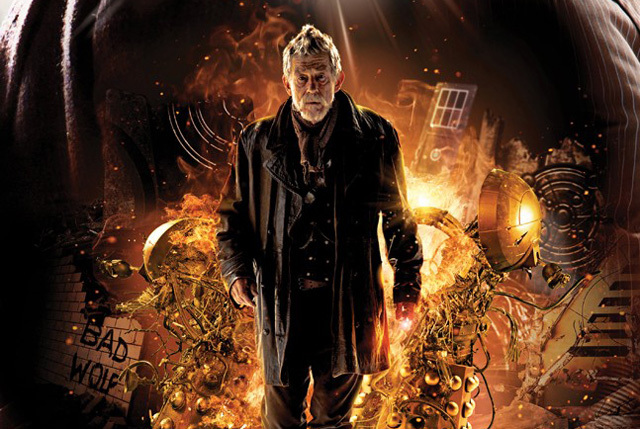 Their ongoing boxset releases, collectively titled “The War Doctor” (creative name there guys, well done for pushing the boat out), have offered us further glimpses into the Time War and shown us the War Doctor during the conflict when it still had no signs of coming to an end. 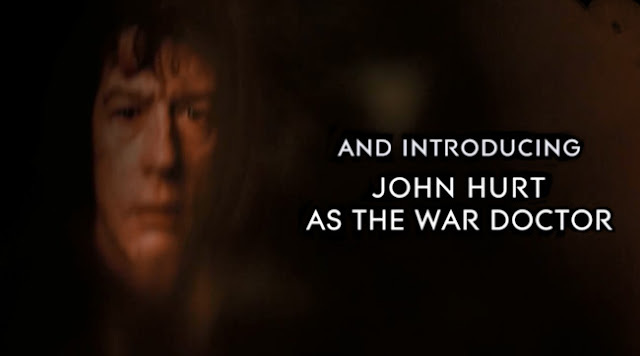 John Hurt slips into the role effortlessly and shows us his Doctor the same as he did onscreen, a fighter sick of the fighting and the bloodshed, but one who knows he has no choice. Hurt brings this bitter and grumpy demeanor as well as everything that had always defined the Doctor and blends these two sides of the Time Lord together effortlessly. Few actors to play the Doctor have managed both with such success with most opting for just whichever one the script requires at that moment, yet Hurt does both with apparent ease. He gives an acting masterclass in every performance – but it’s John Hurt we’re talking about here so that should come as no surprise. It’s his ability to combine the weight of guilt with the whimsical charm that we associate with the Doctor that makes Hurt’s performance stand out. The scene in the barn when he meets the Moment is perhaps the greatest example of this. It was vital that these pivotal scenes be done right after eight years of build-up, and the brilliance of this scene with both laugh-out-loud humour and poignant dialogue, as well as some phenomenal acting (not just Hurt, Billie Piper is great here too), managed to carry it off. 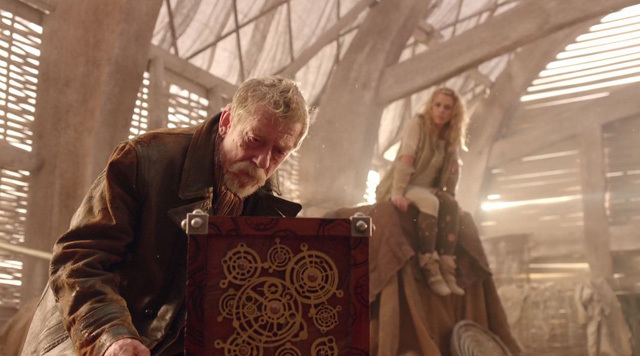 WAR DOCTOR: It's not a chair; it's the most dangerous weapon in the universe. MOMENT: Why can’t it be both? This is the Doctor whose defining character trait is that he doesn’t think he’s worthy to be called that any more… but when the Tenth and Eleventh Doctors offer their full assessment of him they reach a very different conclusion. 10th DOCTOR: All those years, burying you in my memory. 11th DOCTOR: Pretending you didn't exist. Keeping you a secret, even from myself. 10th DOCTOR: Pretending you weren't the Doctor, when you were the Doctor more than anybody else. 11th DOCTOR: You were the Doctor on the day it wasn't possible to get it right. 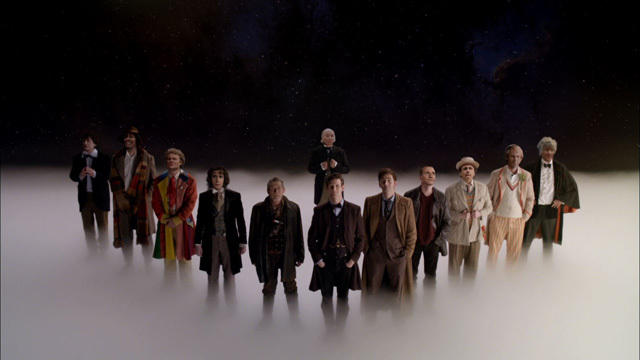 It is important to remember that the Doctor is still the same man in all his incarnations; they have the same history, the same values, and the same fundamental characteristics. The War Doctor is filled with self-loathing and it’s interesting to see this carried over to his successors. The War Doctor may deny that he is the Doctor, even rejecting that name, but if you look hard enough below the surface, look into his heart(s), it’s clear he deep down believes he still is. The conclusion to this character arc is satisfying. When he realises that there is a way to save Gallifrey his sheer ecstatic joy is infectious, and given what this incarnation’s been through it means a lot to see him happy. 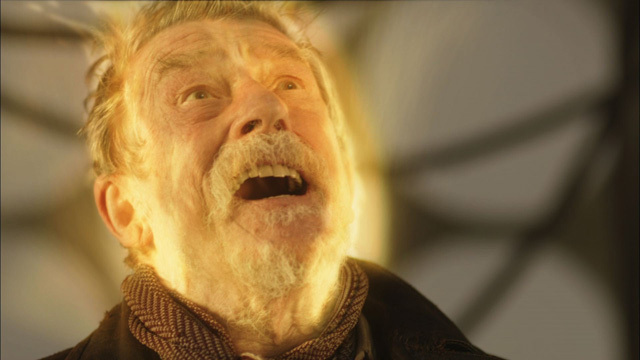 After saving his world and redeeming himself in his successors’ eyes he goes into his TARDIS to regenerate – his job done the Doctor can return – and we see in those few moments a totally different War Doctor to the one we met in The Name of the Doctor. This is a man who has achieved the goal of redemption and prevented himself from falling into evil. His subsequent regeneration into a man who can call himself the Doctor again symbolises this. It’s a victory for him and it’s one that he truly truly deserves. 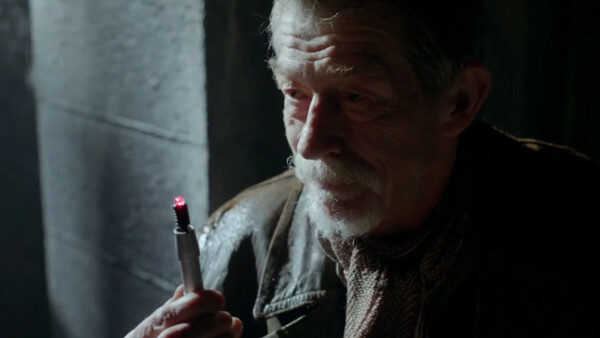 A final observation I want to make as I draw this character study to a close is that the War Doctor is just a title. It’s just a name, nothing more. He’s still, as I’ve outlined, the same Doctor as all his other selves. “War Doctor” is just a concept. The incarnation we give that title to merely is one such time where an entire incarnation was devoted to that ideology. We’ve seen other Doctors become a “war Doctor” on occasions as well, most recently the Twelfth Doctor in Hell Bent, and that’s something we must remember. He’s still, as the Tenth Doctor said, “the Doctor more than anybody.” The quote that gives this article its title is said of Peter Capaldi, not John Hurt. And John Hurt’s War Doctor certainly is that! This article was originally published May 18th 2016.